Thank you to Disney/Marvel for covering my expenses so I could participate in the Tom Hiddleston interview. All words and opinions are my own. I have to say that one of the highlights for me of our trip to L.A. was the round-table interviews. It’s a great opportunity to see what the person behind some of your favorite characters is actually like. And in this case, that person was Tom Hiddleston and the character was Loki. Four More Days Until the Thor: The Dark World L.A. Premiere! 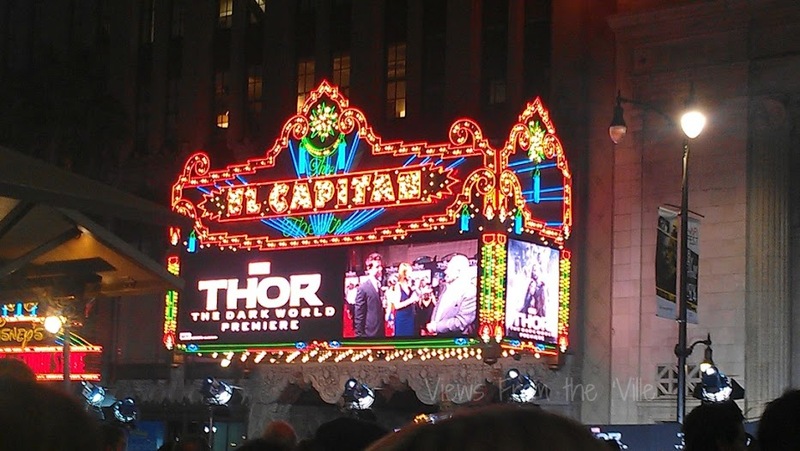 I can’t believe there are just two more days before I head to L.A. for the Thor: The Dark World red carpet premiere. (As I write that, the lyrics, “Lea-ving, on a jet plane” popped into my head and will likely be there for hours.) There’s some fun new Thor: The Dark World information I want to share with you before I get lost in packing, though. 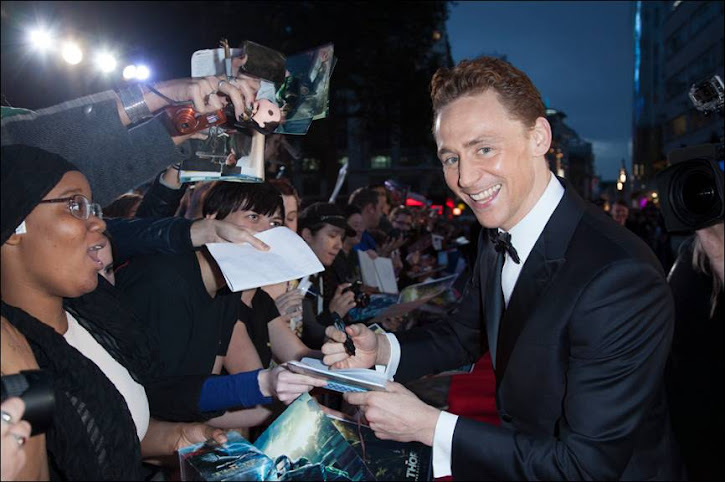 Thor: The Dark World recently had it’s London Premiere. These two photos from that event will give you an idea of what we can expect to see at the L.A. Premiere! 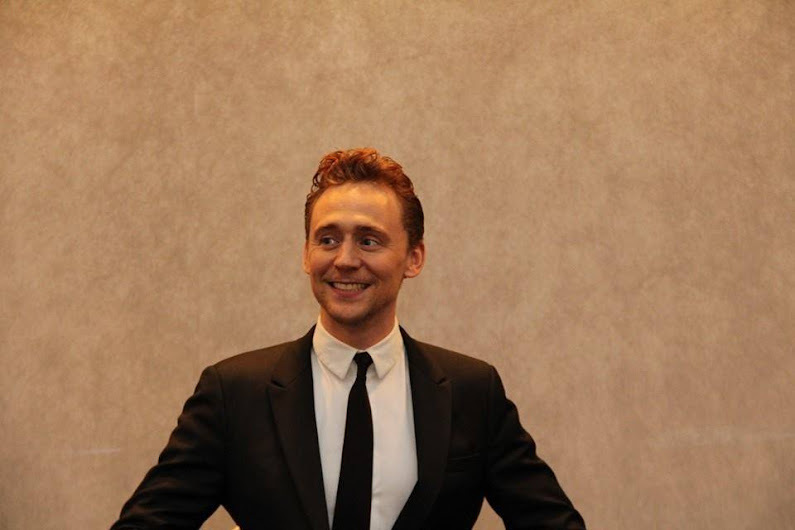 Doesn’t Tom Hiddleston (who plays Loki and whom we will be interviewing) seem like such an awesome guy?